Stevie Holland’s recent release, Life Goes On (June 30th) is her first return to a studio album after her one-woman Off-Broadway show, Love, Linda: The Life Of Mrs. Cole Porter. We’re glad she jumped back into the studio, hitting standards like “Skylark”, songs from what I’ll call The Small American Songbook, little gems from musicals or other pop standards that are less known or remembered like “Not While I’m Around” from Stephen Sondheim’s Sweeny Todd and “Tea for Two” (with additional lyrics by Stevie Holland and Joe Mooney) from No, No, Nanette, as well as originals of her own. There are a couple of things you notice immediately upon listening to Ms. Holland: her storyteller’s rhythm and her beautiful tone. It’s as if you’re listening to a Cate Blanchett voiceover that morphs into this silky jazz voice that hits tones that pierce your heart. While Ms. Holland isn’t always technically perfect, her voice wavers a couple times on the album, she has beautiful phrasing, a Broadway singer’s enunciation, and a tone that is rarely achieved. Fluency focuses on the premise that our interaction with alien species is all about communication and those who have a sympathetic ear to language have a sympathetic ear to the heart and mind of those who are utterly “other.” This leads us to a naturally-gifted linguists as our protagonist; not typical of most SciFi and not boring, even if it sounds that way. Who better to have first contact than someone trained in the first contact of other human people-groups with previously unmapped languages? It is an ingenious premise that’s well executed by Jennifer Wells (it’s a little hard to believe this is Ms. Wells’ debut novel) and leads to some luscious tension between the military commander running the show from the command ship, the Providence. 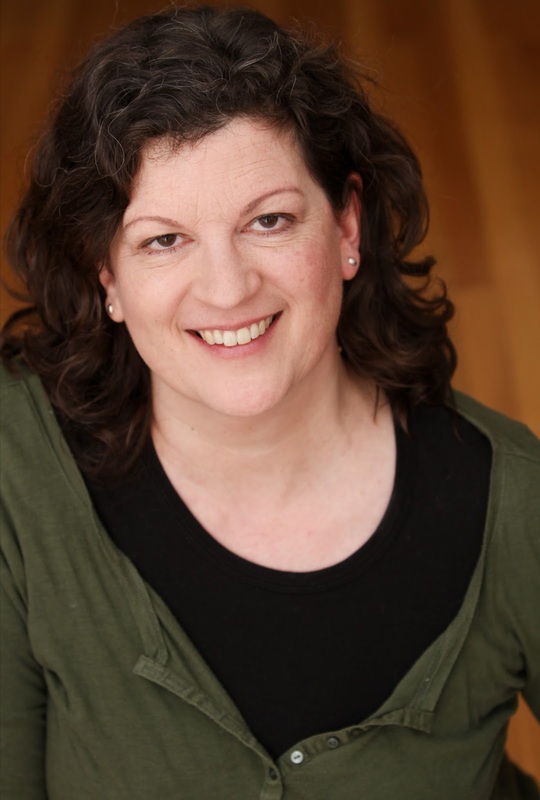 Theoretically, Jane Holloway, the linguist/scientist, takes command once onboard the alien vessel, Speroancora. However, things don’t go as expected and the resident alien communicates exclusively with Jane Holloway and only within her mind. Due to this intimate communiqué provided by the alien (Ei’Brai), on top of an already jaded military mindset, the commander doesn’t know if the alien has taken over Jane Holloway’s mind, is simply misleading her or is telling the truth. The “don’t go as expected” part goes south quickly. As you might expect (although a number of reviewers don’t seem to, about which more later), the others and especially the commander, are more than a little suspicious that Ei’Brai is the source of their woes. This leads to bad decisions and the fun begins. While there is one coherent story, there are a number of side trails that enrich our knowledge of Jane Holloway: why she relates to her crew, her love interest (yes, that too), her commander and Ei’Brai she does. These memory-walks Jane takes enrich the story (and clarify her motives) without throwing off its pacing. What do I love about Fluency? Our growing understanding of Jane Holloway, Ei’Brai, and the crew. No one is perfect and nothing is easy. Dialog and pacing are spot-on while descriptions of the vessels, characters, and remembered worlds are good without ever bogging down the story, and the relationship between Ei’Brai and Jane is particularly well developed. The Gubernaviti/Qua’dux relationship is smart; it provides a balance of power but needs a backup plan (not really a spoiler since you have to read it to get it). Stephan Martiniére‘s rock-a-lockin’ book cover. What did I find intriguing? Ei’Brai seems to epitomize much of current political thinking – it’s all political correctness until it’s time to move toward something you want, then the ends justify the means ‘cause you “know” you’re oh so right. I’m not quite sure I buy the Coelusha Limax/Nepatrox story of surviving because of moral compunction on the aliens’ part to not needlessly kill. Commander Walsh, but hey, I’m not supposed to like him. Also, he’s a bit of a stereotype. The narrative movement towards troubled times seemed a bit rushed, especially for the actions of Ei’Brai and Walsh. While the smoothest and most carefully constructed arguments would not have had things going smoothly, both seemed to rush to judgment sooner than was reasonable. As I often do, I went between the Kindle and Audible version of the story. Susanna Burney beautifully narrates the book. Not only was she a natural for Jane Holloway, but she handled all characters with aplomb. She had great vocal pacing, good enunciation, and clear demarcation amongst the characters. Her portrayal of Ei’Brai as formal and oddly paced was perfect for the alien. I commend the book for your reading pleasure. 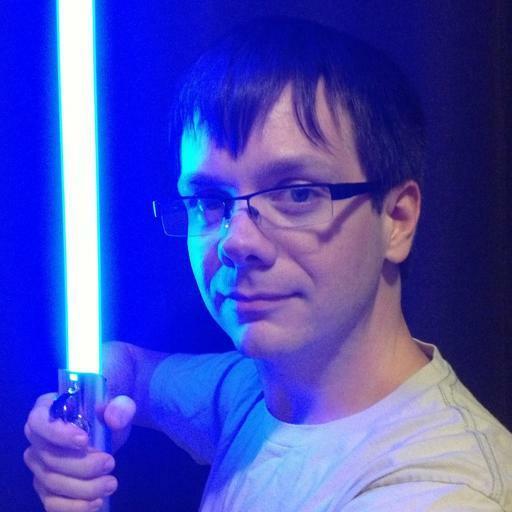 I want to comment on a theme I’ve noticed of some reviewers who didn’t care for the book. Essentially their complaint was that the crew were immature, daft, or both because of how poorly they assessed the situation and didn’t follow Jane. Now, as I indicated above, the pacing was a bit quick moving toward conflict, but not in a heavy-handed way. Most of the reviewers who made this point struck me as judging Walsh and crew as if they had Jane’s full knowledge and should have known better. The crew clearly had to make their decisions based on external behavior and past experience. It seemed more than reasonable that they would worry that Jane Holloway was taken over by the alien. Given Walsh’s background and his lack of willingness to listen, I just don’t see it being obvious that he would view her as safe to trust. In fact, while Ei’Brai wasn’t taking over her, he was misleading her and more intimately inculcated in her thinking than she knew. Now some may say that it’s an even worse over-reaction on the part of the crew because of the technological advantage of the alien. If he had ill intent, he could kill the crew. Since he didn’t kill the crew, he was safe and, by extension, so was Jane. However, despite that advantage, he was stranded and his ship was in trouble. So, he still had the motivation to manipulate them or pose a danger. Also, Walsh isn’t the type to roll over and give up. So their reaction was reasonable and it was only Jane’s inside knowledge, empathetic gifts as a listener and natural disposition that saved the day. In other words, I don’t buy this criticism. 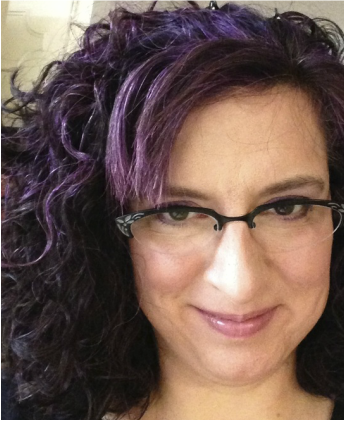 Victoria Dougherty‘s writing immerses you into a world of danger and distrust, Gothic stone buildings and a rapidly changing world. We are thrust into the lives of those who are still intermeshed with the aftermath of World War II and the war itself (through memories). The cobblestones are palpable through your cold, wet shoes, your eyes dart towards every moving shadow in an alleyway and you feel the dull greyness of the world in your soul. You hear the sound of a truck and react with a visceral start. There is no safety even as you devise moments that push away the fear. Hers is not a world of superheroes, clever quips or long distance techno-war with missiles or drones. It is personal and the fighting is up-close; it’s full of risk and it smells. Everyone’s hands are dirty and your largest decision is in whom to place your trust. This is a world peopled with true heroes whose tasks are overwhelmingly daunting, yet they move forward with what hope they can muster. Not all is dark and none of it is dull. It is set in Prague, a city so quintessentially European that’s it’s frequently used to represent Europe in films such as Amadeus, Mission Impossible (1), Casino Royale and The Illusionist just to name a few. There are the Czech people: earthy, real, interconnected and imperfect, as are we all. In the midst of war and its aftermath, these people collide with themselves. You have a carefree Hockey star who must become invisible and sacrificial. You have a half-gypsy, jaded through a lifetime of slights, a survivor, who is willing to give his all for his friend. Then there’s the church referenced in the title, Sedlec Ossuary, in Kutná Hora (a bit over 50 miles from Prague). I fail in what little word-smithing art I have; there are no words that match the strange, surreal feeling it invites. It is on this beautiful, chaotic and epic stage, where people are impossibly tossed together through the ravages of war and the resulting communistic rule, that a piercing love story is written. This is a love story of people, yes, but also love of God and the country of your birth. This story’s “present day” is set in the mid-50s where an effort is made to recover a woman and her son caught on the wrong side of the Iron Curtain. We are, for the majority of the book, pulled back into World War II and told the story of the people and events that led to this daring rescue attempt. The historical action mostly takes place in Prague and its environs starting late in the War (December 1943) through to the end with the Russians taking over. Ms. Dougherty’s words weave us into this story. Her writing is so natural to her topic that the words simply recede and we are there. (I suspect the writing was anything but natural or easy on her part, but she made it so on ours.) If she could simply describe places and people so that we lived in and met them, that would have made for a good book. If she wrote a mesmerizing narrative in which we were caught in the intrigue of war and espionage, that would have made for a good book. If her dialog and pacing felt authentic, that would have made a good book. What makes The Bone Church extraordinary is that she does all of that while giving us a little history lesson. These are people and places that stay with you, even with their strange-sounding names (to my ears). Navigating the web of deceit, misdirection and motivations is sometimes challenging, but always rewarding. While it is a gripping story, it’s not a quick page-turner. It allows us to live into the culture and times in a way that requires a little different pacing. Again, well worth taking the time but it requires a modicum of patience. While this tale may resonate with me more than some, I grew up in the cold war, its themes are universal but brought out more fully in the hot and cold wars. Love and loss, hope and failure, and bravery and cowardice all have their day. I cannot recommend this book enough with the caveat that it has very adult themes. Let the reading and times seep into your bones, come to know Srut, warts and all, walk the back streets of Prague and glory in the ballrooms of Kutná Hora, follow the Angels as they minister to Felix and never forget the Jews of the Holocaust and the Gypsies of Europe. When you queue up an Owl City (AKA Adam Young) album, you know you’re going to have some fun; Mobile Orchestra delivers on that promise (even when fun may not match the song’s content). This album is fun not only because the songs have great, mostly upbeat rhythm but also because he experiments with lots of sounds and genres in the album. You have everything from a lite dubstep, “Thunderstruck” (feat. Sarah Russell), to a country sound, “Back Home” (feat. Jake Owen) and everything in between. Besides teaming up with British Trance artist Sarah Russell and country singer Jake Owen, but also the amazing Aloe Blacc, boy band Hanson, and contemporary Christian artist Nicole Britt. So taking us on this musical journey is done with a little help from his friends. The album immediately starts out with some help from Aloe Blacc since that’s the first voice you hear on the album. It might strike some odd that Adam Young’s voice isn’t first, but it seems appropriate for this album and the sound of the song definitely has Owl City written all over it. Also, there’s the fact that it’s Aloe Blacc; who doesn’t want to hear his voice? “Verge” is his “We are Young” song, celebrating beginnings: “This is our time (This is our time)/These are our hours (These are our hours)/Out on the verge…of the rest of our lives.” Everything comes together to make this a great song to kick off the album – great beat, fabulous melody and harmonizing vocals. “I Found Love” sounds like one of those sweet love songs: “So lead me home, and lift me up/Above the stars, and even higher/I’m not afraid, because your love/It falls like rain, and burns like fire.” It’s not quite a love-em-and-leave-em song, but rather a young man who allows emotion to overtake responsibility. So while it’s not dump-and-run, he does feel loss and remorse, he needs to remember that the flip side of this song is “I Dreamed a Dream” from Les Mis. “Thunderstruck” is one of my favorite songs of the album; the dubstep beat is great but doesn’t overwhelm the song. Sarah Russell’s voice (somewhat reminiscent of Ellie Goulding) melds well with Adam Young’s. It’s just a fun love song. Alas, this is followed by probably my least favorite song on the album, “Unbelievable.” This should be a fun nostalgic song looking back to the childhood of their generation. It comes off as a dull song which list of things without any clever lyrics to tie it together. A clever rap with good transitions could hav3e worked with what is, essentially, a long list. This just doesn’t work. It is “Unbelievable.” Now, admittedly, someone that had their shared experiences could find forgiveness in the list with their own nostalgic memories. Where “Unbelievable” may have missed the nostalgic mark, “Back Home” hits it dead on musically and lyrically. This songs slows it down a little bit (but still upbeat) celebrating a small town home: “I’m headed back to tree lines/To free time and starry nights/To bonfires and fire flies/Pack your bags it’s time to go/Cause we got brighter lights back home.” This is a nearly perfect cross-over song from Jake Owen and Adam Young. “My Everything,” “Can’t Live Without You” and “You’re Not Alone” are about the slings and arrows of outrageous fortune in this life and the need for rescue when we’re down and out. In “My Everything,” expresses that need, deep within, to cling to our Lord, our King, our God. We do this especially in those times when. ” When “my hope in lost and my strength is gone/I run to you, and you alone/When I can’t get up, and I can’t go on/I run to you, and you alone.” Of course, we need Him just as much when all is well, but we recognize it more when we’re down. While “Can’t Live Without You” leaves open whether that is another person on earth (one hopes not, since any human relationship based primarily on a need for rescue is doomed), but “You’re Not Alone” makes clear that God is the great rescuer of souls. Both songs are great with Adam Young and Nicole Britt singing particularly well together. “This isn’t the End” takes on a tough theme of a daughter dealing with a father’s suicide. Unfortunately, the tune seems a bit too sunny for the theme. That may be because it’s fundamentally about hope enduring even in the midst this horror there is hope: “The role of a father, he never deserved/He abandoned his daughter and never returned/And over the years though the pain was real/She finally forgave him, and started to heal.” I do think there is a bit of a disconnect between music and lyrics on this one. 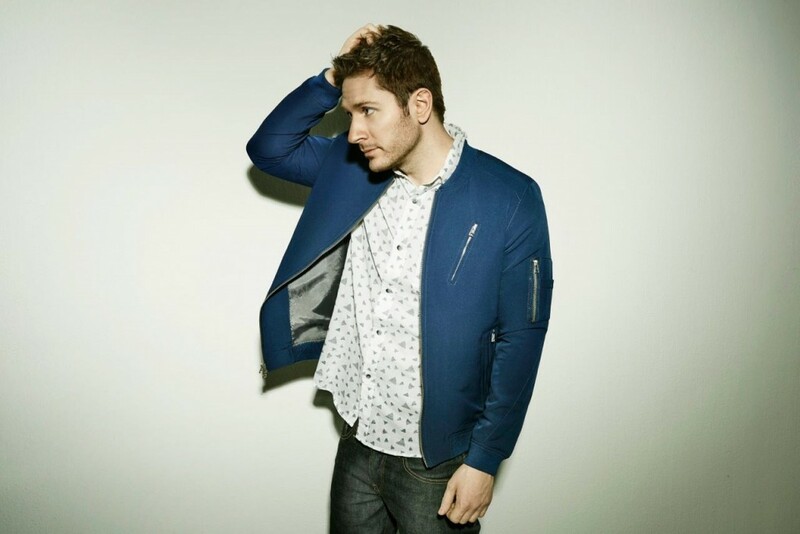 Overall, I commend Adam Young for taking some risks, moving into new areas even while maintaining the “Owl City” sound. This is a really solid album and worth a listen. 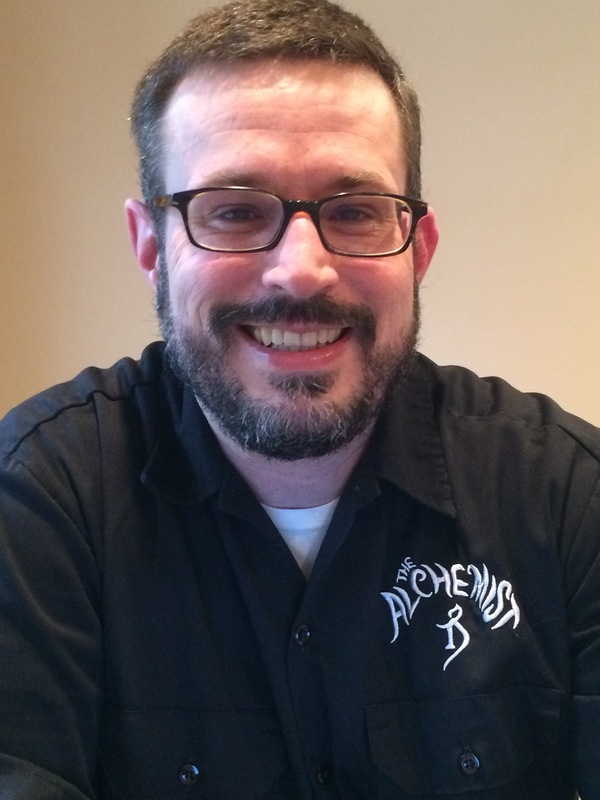 Michael Underwood scores full points for a perfect hit with Hexomancy, drawing (at least the first cycle) of the Ree Reyes series (which include Geekomancy and Celebromancy along with the novella, Attack the Geek) to a full-on fun while satisfying ending. You know those episode-ending scenes around the table of Serenity from Firefly? There is a sense of camaraderie, coming home with people and life seeming to fit (even with chaos around the corner). That’s what Hexomancy is for me. Mr. Underwood seems more comfortable and confident within his writing skin. While the series started out as a fun, light, albeit cool, geeked-out, pop-culture fueled adventure novel, it continued to grow to a full-fledged adventure series driven as much by the characters who people the stories as the geek references. So while the impetus of the series was superpowers based on geekiness (and what geek doesn’t dream of that world), it grew into a series where world-building became more of the stage on which the characters act and their relationships wax and wane. That’s not to say his characters, their relationships or the storyline were subservient to world building before, it’s just that the underground world needed focus. His pacing, dialog, and descriptions have slipped over the top to spot on with an inherent sense of authenticity. In this artificial world, there is no artifice. Also, there’s the not-wanting-to-put-it-down because it’s so much fun. If I didn’t have to pretend to some responsibility and family life, I would have read it in one sitting; as it was, I read it in two days. Note: First, full disclosure, I received an advanced review copy of this novel from Netgalley for an honest review; it’s scheduled for release September 14, 2015. Second, there are spoilers below for any who haven’t read Geekomancy and Celebromancy, so read them. Hexomancy takes well-established characters, with a few new ones, and fleshes out the like/abhor relationship between Ree and Eastwood, the life of a geek-hero whilst trying to keep a day job and personal life, and the ebb-and-flow of love relationships. Celebromancy introduced us to a fairly different setting to keep things fresh; while the world was the same, the setting within the context of a movie lot was sufficiently new that it gave the novel a different feel. We return to home turf in this novel in which some witch sisters vow to take out Eastwood. Ree and Drake slog their way through sewers and dangerous magic to protect him. Speaking of fun, I have some soundtrack recommendations for Hexomancy – Lachesis’s theme could be Nina Simone’s I Put a Spell on You sung by Morgan James. Carolos Santana can make some serious contributions with some Black Magic Woman for Lucretia and perhaps his Evil Ways for Connie while his Into the Night might be Eastwood’s theme song. Of course, there’s lots of built in soundtrack music, everything from Star Wars to Tron, Dark Knight to The Avengers. It’s all there. The characters themselves. These seem like people you would actually meet placed in a bizarro alternate world. The way the storyline seemed like adventure set pieces but were actually part of a coherent storyline that delivered a great narrative arc as well as being a worthy conclusion to the series. All of the geeky references. Yes, even the love story. The chasing of Lachesis seemed a little drawn out and yet ended in a battle not fully satisfying. Hexomancy seems mostly about throwing you off-kilter (which is more powerful than it might first appear) so it seems a stretch that it could be powerful enough to knock out city power or all that Atropos does. Come for the geeky world and fun storyline, stay for the fabulous characters, relationships, and action. I thoroughly enjoyed the whole series; I simply loved Hexomancy. I commend it for your reading pleasure. Seriously, pre-order today. Clearly Joy Williams has been on quite a journey since the split of The Civil Wars. Venus shares a bit of that journey which is full of vulnerability and power, big beats and quiet vocals and everything in-between. There are times when Joy Williams, the soloist, is reminiscent of the partner in The Civil Wars, but much of her work reaches out in new ways of expression. As the mythic Venus was born out of the sea, Ms. Williams’ career has a rebirth (her second since her Contemporary Christian artist days) and this album is indicative of that change. While I will deeply miss the harmonies of The Civil Wars, I’m excited about the new album and where Ms. Williams is heading. Yes, we hear her haunting, lilting voice that has the breathy fade which is so familiar, but we also hear her sing with a pop beat (and backing band) and with more power. The album allows Joy Williams to fully come out on her own, highlighting her beautiful, modulating voice and her ability to bare her soul in words. It’s musically diverse, produced well with clearly more complexity than two singers and a guitar but not over-produced. It’s a great album which I encourage you to give it some real focused listening. It’s worth them time. 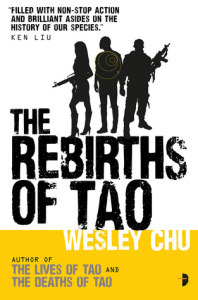 Nice review of Rebirths of Tao – Wesley Chu (sadly still on my TBR list but changing that soon) Loved the other two, Lives of Tao & Deaths of Tao.